InfoMed is a quarterly premier healthcare magazine intent on embracing global healthcare challenges, covering a vast array of topics. Readers can brush up their knowledge on medical and healthcare events in Malaysia and around the world, stay up to date on cutting edge medical technology, learn about local and global personalities in and out of healthcare, as well as one-of-a-kind feature stories. Readers of Infomed Magazine include doctors in both the public and private sector, hospital administrators, healthcare policy makers, medical students, healthcare associations and NGOs and the general public. The print copies are delivered directly to doctors and healthcare professionals and the magazine is also made available nationwide in over 100 plus newsstands and bookstores. InfoMed is also a Media Partner for major healthcare events in Malaysia and Singapore. InfoMed.com.my is a healthcare news portal dedicated to bringing you the latest news in health, medicine and relevant news in Malaysia and around the world. It is updated daily. To peruse news content, search by category or tags. find out where you can purchase InfoMed off the stands. InfoMed Magazine has a circulation of more than 11,000 all around Malaysia and Brunei. Of those, 8,000 copies are sent directly to the doorsteps of general practitioners (GP Clinics), specialists, hospital administrators, ministry officials and decision makers, as well as members of the public. InfoMed is published every January, April, July and October, and can be purchased from all leading bookstores. If you’d like to contribute articles, ideas and projects to InfoMed, please contact us via our Contact Page. 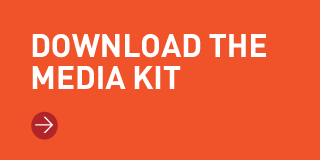 If you’d like to list your event or advertise, you can download our media kit at our Media Page.